Venue - GASL OPA, Prof. Stanley Wijesundara Mw, Colombo 7. 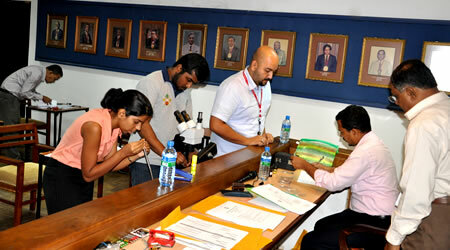 The origin of the Gemmologists Association of Sri Lanka (GASL) can be traced back to the 1970’s to a professional body of Gemmologists in Sri Lanka. 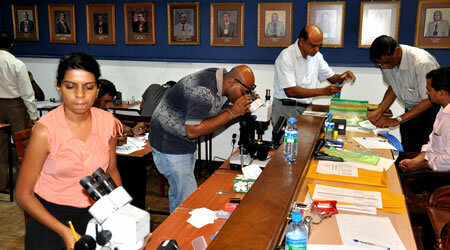 Since then it has been working with broad spectrum of activities related to science of Gemmology. Around a half a century GASL has been an active and important focal point for Gemmology in the country, supporting developing and promoting its growth and contributing to the cultural life of the country. 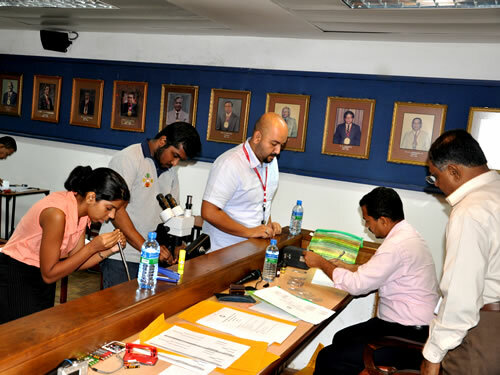 Being an objective of provide a recognized professional qualification in Gemmology, Gemmologists Association of Sri Lanka (GASL) annually conducts it's Diploma examinations in Gemmology as an special interest in support and develop novices to the field. There are two parts in the examination. The question papers and answer scripts of the examination are moderated by internationally recognized local and foreign examiners. To honor Diploma, a candidate should pass whole Theory examination part 1 &II and the Practical examination part I & II. A candidate who passed Theory paper 1 and Practical paper 1 only will be credit the Certificate . The candidate should have followed the Dgem (Diploma in Gemmology ) syllabus before sitting the examination. 1. The examination is conducted in November each year and the medium of examination is English. It is open for both Sri Lankans and non-residents of Sri Lanka. Candidates need to be registered in GASL at least six months before the examination. 2. The registered students may attend the revision seminars conduct by the GASL. Moreover, they can attend the classes conducted by affiliated teaching centers of GASL or other institutes of Gemmolgy. 3. There is no limitation for the number of attempts in the examination, but it is required to pay examination fees for each attempt. 4. Candidates who follow 4 modules and successfully get through all 4 modules are eligible to earn the Diploma in Gemmology (DGem –SL) from GASL. 5. Candidates have the opinion of following one module and have to sit for selective module papers. According to his/her competence, a certificate will be awarded. 6. Fees once paid are non-refundable. 7. 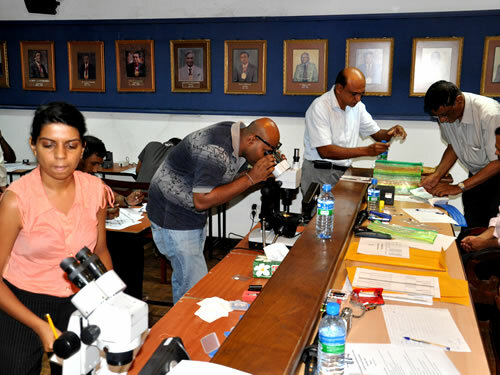 The executive committee of the Gemmologist Association of Sri Lanka will reserve the sole right to decide the place & date of examinations, release of the results and other matters related to the above said examination. 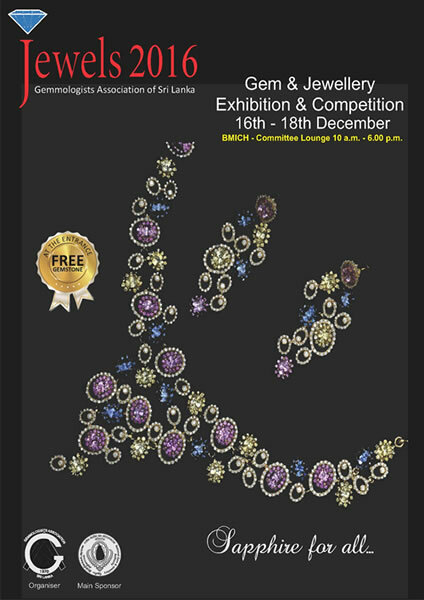 In such occasions, decisions by the executive committee Gemmologist Association of Sri Lanka will be final.